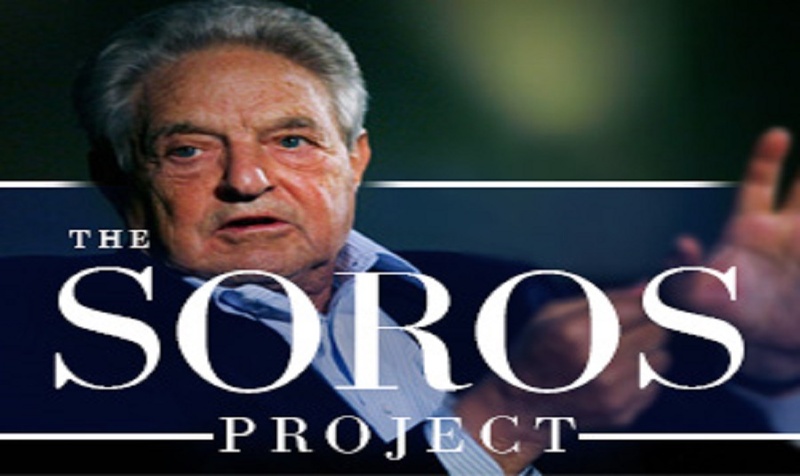 While the Democratic Party and the left-wing of the GOP encourage an activist federal court system, the multi-billionaire political provocateur George Soros is allegedly pouring millions of dollars into his project to politicize and radicalize the higher courts in all 50 states. Without notice or fanfare Soros financed a $45 million campaign to reshape supreme or superior courts in a number of American states. 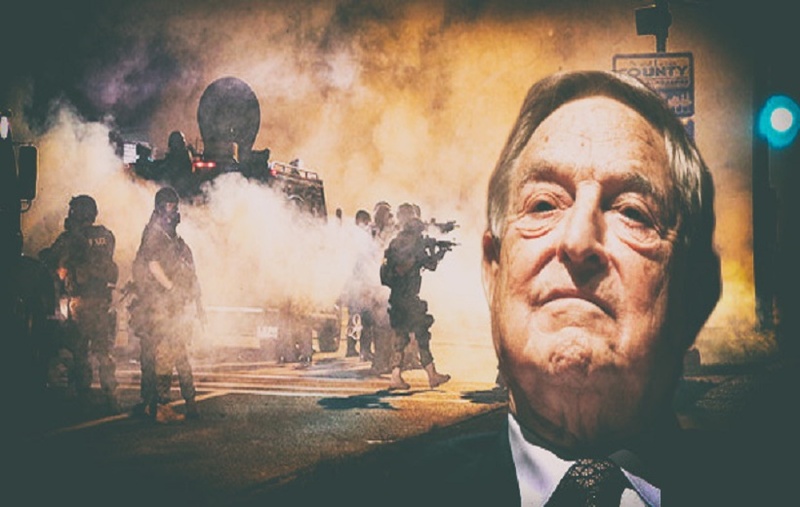 The first step in the Soros backed scheme is to keep conservative judges off the courts by taking judicial selection decisions away from American citizens and handing them over to “merit” boards stacked with legal special interests, according to Michael Snipes a conservative political consultant who served in the U.S. Marine Corps and the New York Police Department. The second step is to gag any conservative judge who happens to slip by with phony demands to recuse him/herself, claims Peter Schuyler, a former Senate staffer and college professor. “In each instance, the goal is not to produce fairer, more accountable courts, but to impose [progressive] agenda on unwilling voters,” said Schuyler. Most Americans understand that the purpose of State Supreme Courts is not, and should not be, to advance political views or a social agenda. The purpose of appellate and high courts is to insure that laws do not violate state constitutions or the U.S. Constitution, and that the law is applied as intended by the nation’s Founding Fathers. Legal scholars who are considered Constitutionalists believe that if a higher court becomes stacked with political ideologues, the U.S. and State Constitutions are likely to take a back seat to the political whims of black-robed lawyers, a situation that could very well jeopardize Americans’ constitutional rights. “This Soros scheme to stack states’ higher courts must be met with great concern by anyone who believes in the principles laid out in the U.S. Constitution, which was written so that all citizens could easily understand what actions government could or could not take. It wasn’t written to inform the ruling class what actions citizens could or could not take,” said political strategist Mike Baker. Baker said that even someone opposed to a strict interpretation of the U.S. Constitution understands the purpose of the nation’s founding documents such as President Obama. 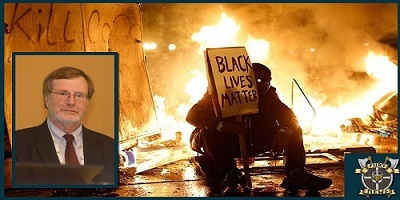 Federal Judge James Robart is credited with giving Black Lives Matter their name during his ruling against police. There are three basic methods of state supreme court selection utilized: contestable elections, senate confirmation and what’s known as the Missouri Nonpartisan Court Plan. Contestable elections are used by twenty-two states. It allows two or more candidates to run for a seat on the supreme court is the most populist of the three methods because it puts power directly in the hands of the people, the voters. The second common method of selecting state supreme court justices is the one used to select federal judges: executive nomination followed by senate confirmation. In twelve states, the governor nominates state supreme court justices, but the governor’s nominee does not join the court unless confirmed by the state senate or an equivalent state legislature. Senate confirmation is a less populist method of judicial selection than contestable elections because senate confirmation is less directly dependent on the direct decision of voters. Under the Missouri Nonpartisan Court Plan, a nonpartisan judicial commission reviews applications, interviews candidates and selects a judicial panel. For the Supreme Court and Court of Appeals, the Appellate Judicial Commission makes the selection. It is composed of three lawyers elected by members of the Missouri Bar (the organization of all lawyers licensed in this state), three citizens selected by the governor, and the chief justice, who serves as chair. Each of the three geographic districts of the Court of Appeals must be represented by one lawyer and one citizen member on the Appellate Judicial Commission. It’s no mystery that each method of selecting and appointing judges is open to outside manipulation and therein lays the problem, claim legal scholars. “When one of the world’s richest men, George Soros, is spending tens of millions of dollars to mold the U.S. Judiciary into a de facto Oligarchy, Americans must be educated and enlightened,” said New York attorney and former prosecutor Benjamin Barnes. “An oligarchy is a form of power structure in which political power is wielded by a small number of people. These people could be distinguished by royalty, wealth, family ties, corporate, or military control. The word oligarchy is from the Greek words “to rule, to govern, to command”. Such states are often controlled by a few prominent people who exercise almost,” Barnes pointed out. Mike Baker agrees and he points to German sociologist Robert Michels who believed that any political system eventually evolves into an oligarchy. He called this the iron law of oligarchy. According to this school of thought, modern democracies should be considered as oligarchies. In these systems, actual differences between viable political rivals are small, the oligarchic elite impose strict limits on what constitutes an acceptable and respectable political position, and politicians’ careers depend heavily on unelected economic and media elites. Thus the popular phrase: there is only one political party, the incumbent party. American Liberal-Left ideologues realized quite some time ago that to further their agenda and transform American into their vision of a utopian society they could not rely on the legislative or executive branches of government. Politicians are subject to citizens’ right to vote and most Americans will not go along with leftist policies no matter how much lipstick you put on that pig. Therefore, the branch of government most susceptible to manipulation is the judicial branch. These activists, who prefer the label “progressives,” decided that the road to utopia must be paved not by elected officials but by judges appointed to the federal courts and State Supreme Courts. In other words, the progressives must be in a position to nominate and appoint lawyers sympathetic to their causes as judges. It is no exaggeration to say that many U.S. courts are stacked with black-robed ambulance chasers and slip-and-fall shysters. 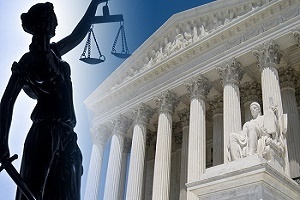 While this situation has not been lost on politicians, activists and political observers when it comes to the federal courts especially the U.S. Courts of Appeal and our highest court, the U.S. Supreme Court. Within the last decade, a highly-coordinated, well-funded campaign has been underway to fundamentally alter the composition of America’s state courts. Their campaign’s goal is similar to that of federal court appointments: exclude conservative, rule-of-law judges from the bench and place leftist judges who apply foreign law and theories into their decisions or worse. Too many American judges are swayed by legal pronouncements from the United Nations, European Union even Shariah law as long as it advances their argument. “This campaign has been bankrolled by the likes of multi-billionaire Soros, well-funded activist groups, and powerful special interest groups, such as state trial lawyers associations,” said Baker. ← North Korean Missile Launch Detected by U.S.
Mr. Soreazz is guilty of sedition, why isn’t he arrested?